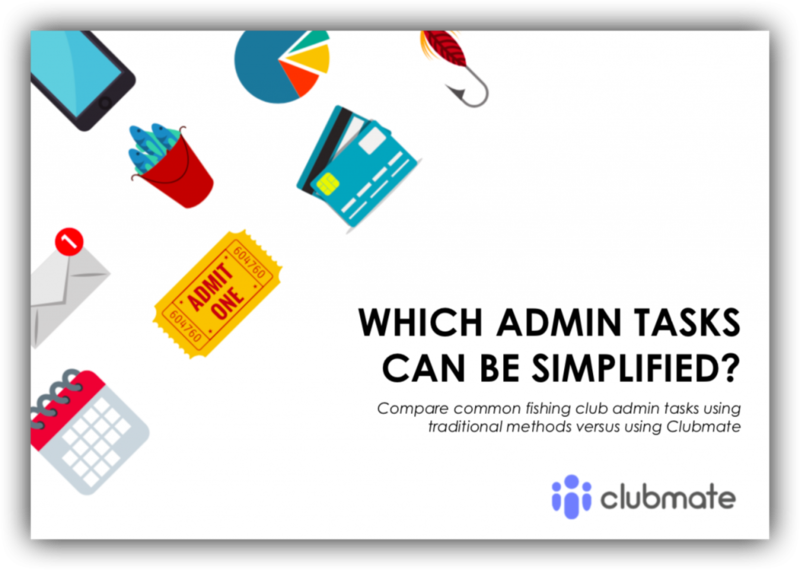 Which club admin tasks can be simplified using Clubmate? Ever wondered which admin tasks could be simplified at your fishing club? The guide lists all of the common tasks that fishing clubs typically undertake and then compares them with how they could be done online with Clubmate. Helping you to understand how you can reduce the time you spend on admin & increase the time you spend on the water.